The Car: 1 of 138 ZR1 60th anniversaries made in the final year for the C6 and ZR1. This is the ultimate in performance, style and looks, this Arctic White ZR1 with 3ZR and 60th anniversary packages, accented with the Blade Silver centerstripe is every bit what a modern performance car looks, sounds and acts like. 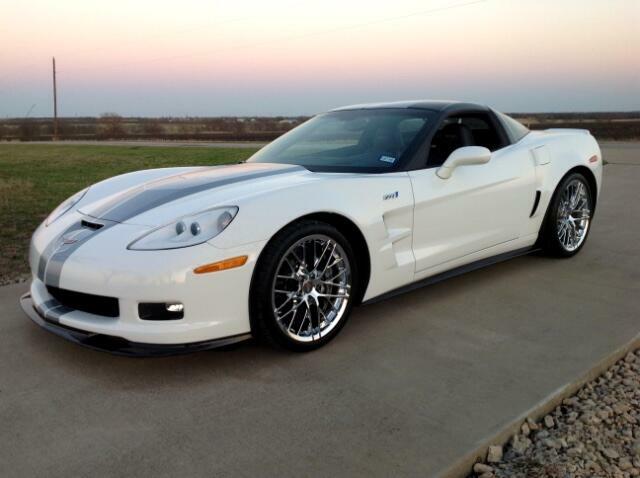 Driven only on short hops, this 2013 Corvette is virtually brand new. With a base price tag started at $111,800, which included a short novel filled with performance items, another $10,000 for the 3ZR option package, and then the addition of the 60th Anniversary package plus gas guzzler tax, the special Design7 chrome alloy wheels and before tax and registration you are right at the $125,000 mark! This car has it all, all of which has been meticulously cared for since new. Who cares about Bluetooth, upgrades Navigation or sound systems, it is the 3.4 seconds of going from 0 to 60 mph that matters, and no other car can take to that speed with the comfort of this Corvette.